Made by a friend who’s a chef, he shared some of the ingredients with me. And of course, rum is one of them. 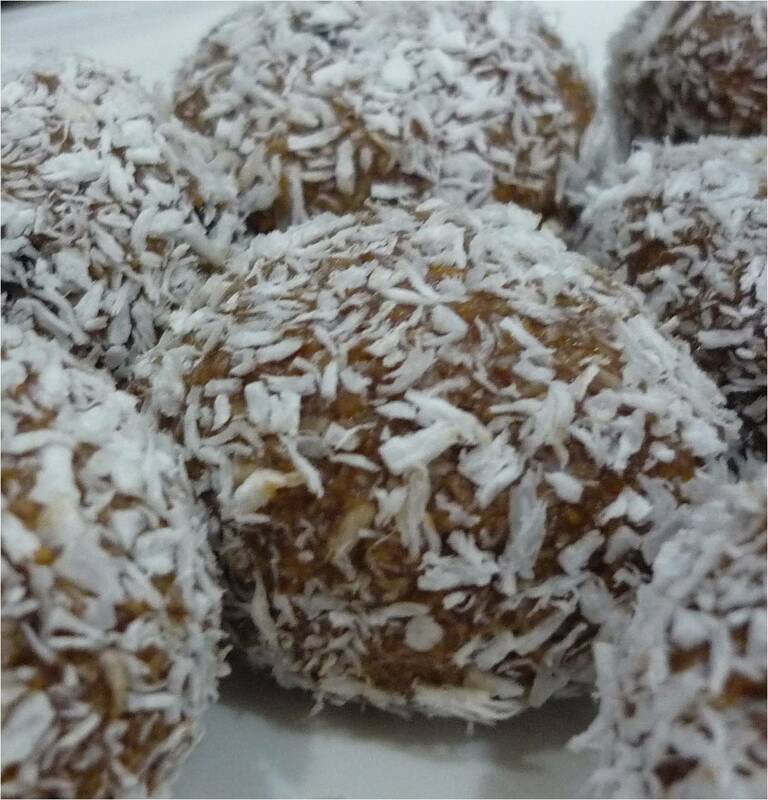 Because they are not cooked, the rum is still much in the yummy balls served. Which means you can get “high” on a few of them. Which is what happened to one of my friends last night! He had three of them and started behaving like he had had some testosterone supplements instead! Needless to say, he made a bit of a fool of himself while the rest of us stayed away from the dining table! This entry was posted on 13/11/2010 at 08:41 and is filed under Friends, Gastronomy, Health. You can follow any responses to this entry through the RSS 2.0 feed. You can leave a response, or trackback from your own site.